A new study from India published in the Journal of Food Science Technology showed positive results in improving glucose metabolism in high fructose diets in rats. 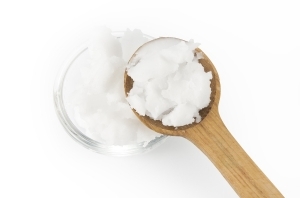 Coconut oil is a common dietary oil in South India, so the researchers wanted to compare the common refined copra-based coconut oil found in the market place with the less-refined "virgin" coconut oil which has become more readily available in recent years. The results were very promising. The researchers found that glucose metabolism only increased 17% in a high-fructose diet as compared to 46% for those rates fed a standard coconut oil diet. This research confirms what we have observed over the years since we brought Virgin Coconut Oil into the U.S. market: many who switch to Virgin Coconut Oil see their blood sugar levels normalize. Here are some testimonials.